NJ Locksmith & Door Service has been performing Commercial, Residential, & Automotive services for over 28 years, including door repairs & servicing as well as making car keys and remotes throughout northeastern New Jersey. Do not fall for the $15,$20 and $25 (and up) scams. The 'and up' part is where they really get you. 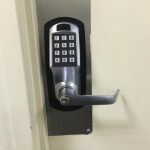 NJ Locksmith can install and repair door locks & hardware including conventional, high security or digital locks and door closers. Our techs can set up or maintain master key systems of any level. Panic bars and Alarmed exit devices are also no problem for our experienced technicians. We also sell padlocks of all grades and safes for added layers of security. 28+ years of great service makes us the best choice. 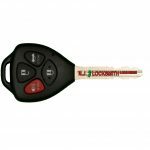 NJ Locksmith can make keys for your car. Programming new keys or eliminating old or lost keys is also possible. If you have an older car with just a metal key or a brand new car with a transponder chip NJ Locksmith can help . If you want to copy an existing key or if you're locked out, or if you've lost your keys call now. Save the high cost of dealerships & towing! Call us for factory fob's and keyless remotes. NJ Locksmith & Door Service can repair and service residential and commercial doors. We are highly specialized in door repair and don't stop at the lock. If you have a wood doors steel doors or glass we can help you make them open and close just right. 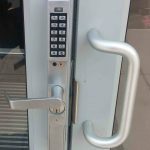 We fix hinges, latches, kick plates, pivots, basically any door hardware automatic openers and closers can be installed and serviced by our technicians. Call NJ Locksmith and Door Service Company today! NJ Locksmith & Door Service has many brands of commercial and residential locks in stock to choose from including door knobs, deadbolts, storefront locks, mortise locks & handle sets. 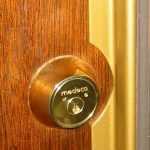 A wide range of Mailbox, cabinet, and specialty locks can also be found with both our mobile service and in our store. Not sure if we have it? call and ask, we'll be more than happy to accommodate. 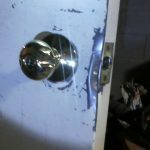 NJ Locksmith can install and service all types of locks. 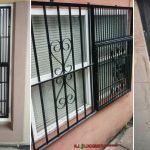 securing with NJ Locksmith’s custom gates and security bars. NJ Locksmith & Door Service has a large assortment of residential, commercial & automotive keys. We cut Medeco high security keys We even offer auto transponder chip keys and car remote head keys at our shop. We have more keys than anyone in our area and we guarantee every key we sell. We have the latest in technology to cut your keys to exact specifications. Call now or stop by our shop today! For virtual pick and bump resistance, you'll need a solid lock like Medeco. The hardened steel makes them virtually drill resistant with built-in key control, requiring special Medeco keys that need to be cut by a trained professional locksmith. 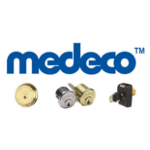 Medeco also offers key control systems to prevent unwanted copies to be made. If you're looking for the top level of locks, you've found it. NJ Locksmith & Door Service has the right safe for you, being experts in sales and installation, changing combinations or repairing the lock back to factory specifications. Upgrades are all easily accomplished by our technicians. 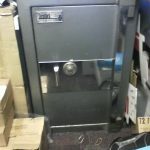 We sell new & used safes. Want to try it out before you buy it? Visit our showroom and check out what we have to protect your most valuable belongings. NJ Locksmith provides upfront pricing with no surprises, Honest work, and quality products. Call (201) 864-5777 for a free quote today!